It’s time to shine…for Mr.Sun! It’s also time to take out those sunglasses. 🙂 Here’s my brown Fossil eyewear – had them for years…Coincidentally our dirty bed cover is in brown too (but not because of the dirt, teehee). Unlike many of you, picking sunglasses ain’t easy for me. I don’t have prominent nose and cheeks and my face is round so I have to go try a lot of pairs just to find one that really fits or one that would look good on me. To start of in picking the right eyewear, know your face shape. It could be triangular, square, oval, oblong and round. 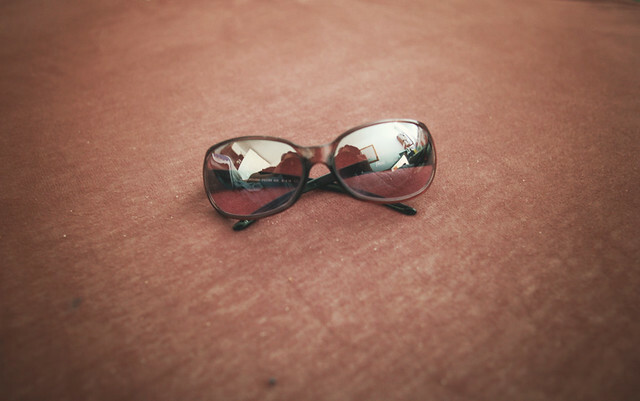 From there, choose the eyewear that would go well with your face shape…either to make your face look longer, shorter, smaller or rounder….yes, wearing sunglasses could do that. 🙂 In any case, trying on different styles and sizes would make you see the difference. Have fun!